I will be available to answer questions and respond to concerns any residents of the district may have. 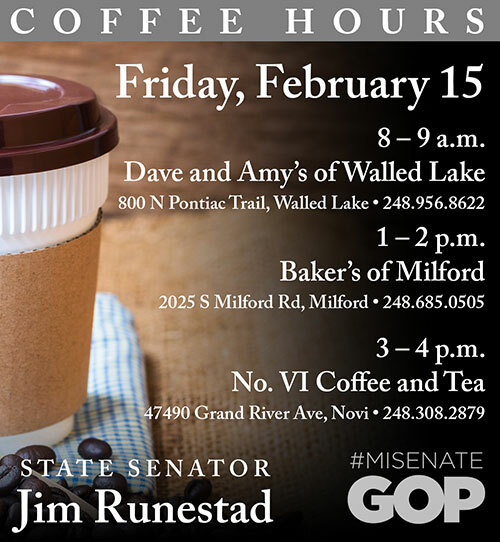 For more information or to contact my office, please visit SenatorJimRunestad.com or call (517) 373-1758. 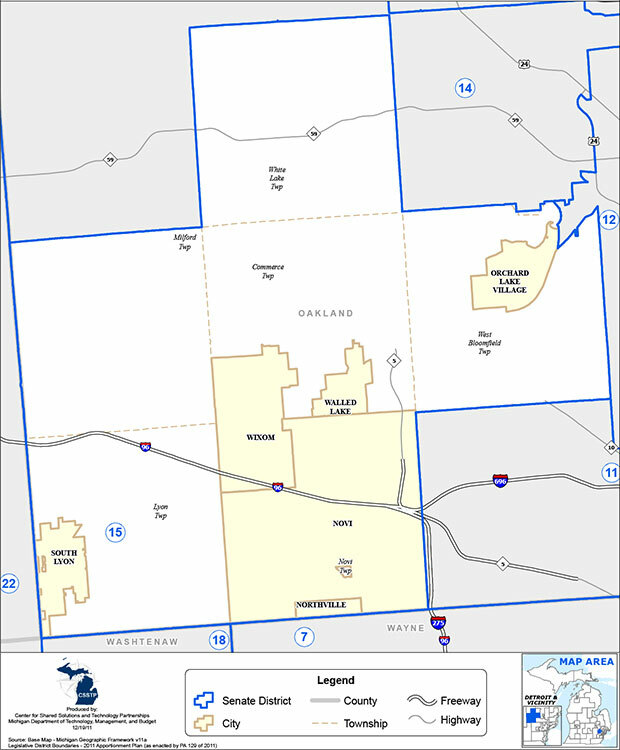 The 15th District includes the cities of Northville, Novi, Orchard Lake, South Lyon, Walled Lake and Wixom and the townships of Commerce, Lyon, Milford, Novi, West Bloomfield and White Lake.